Are you unable to find Instagram Influencers best suited for your business? Find it with the help of top social media marketing consultant – CRUX Creative Solutions! Instagram is undoubtedly the best platform for promoting brands and business. The major section of influencers uses Instagram for brand collaborations worldwide. 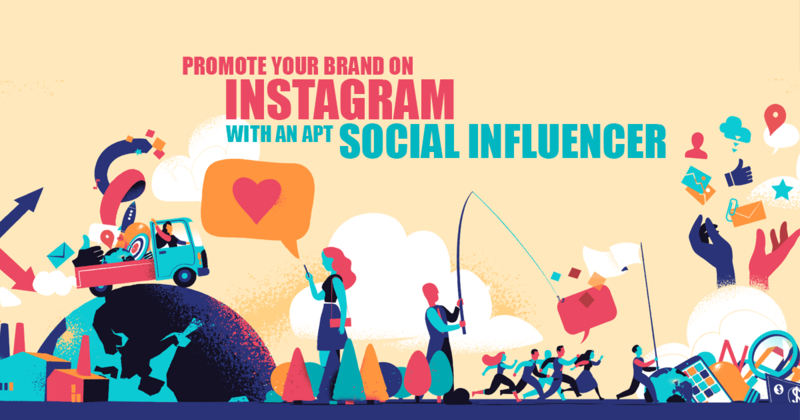 They can easily turn the engagements into the loyal followers of your brand on Instagram. This is why the need for right influencer has increased to leaps and bounds. Moreover, finding the right influencer can promote your business on Instagram is a challenging task to do. Here are a few tips by the best Social Media Company in Delhi, CRUX Creative Solutions, which can help you in finding the best-suited Instagram influencer for your business. Before starting your venture on finding, best-suited Instagram influencers for your business first set a clear objective in your mind and get answer to these questions. Question 1: Why do you need influencers? The three primary goals of any brand are – increase brand awareness, generate leads and sales, and increase your Instagram followers. Your choice of a right influencer will revolve around these three factors. It is the necessity to decide why we need influencer, what they will do for us. Then only you can get an apt influencer for your brand. Question 2: Does the influencer personality align with your brand’s personality? It is an important question to answer; working with an unsuitable influencer brings low ROI for your business. For example, you are a travel portal but the influencer you are working with is a fashion blogger. Then? First, it will question your loyalty towards the audience, and secondly, the influencer will fail to bring the followers and engagement to your brand. Having a long list of followers and a high engagement rate is two different things. Usually, the engagement rates go down with the increase in Instagram followers. The long list of followers cannot get you a high ROI. It also depends upon your engagement rate with the audience because the popularity of brand is only beneficial when it get convert into the sales. Start analysing the comments and reactions closely. The long and positive comments are a sign of genuine engagement, and if you are not getting such kind out of results then, you and your influencer need to work on the content that you are delivering on Instagram. Hashtags are like virtual influencers for the business! They help in making others talk about your products and services. It is better that we should do a little research on hashtags. Here are some points that you can look for finding the relevant hashtags! Hashtags are like keywords on social media. If you will go for high-density hashtags, then you will face competition in finding a relevant influencer. While searching for the influencer, go for the long-tail hashtags. The long-tail hashtags provide accurate results and make your task of finding a suitable influencer easy. Start with the keywords that describe your brand. For example, if you sell accessories for jogging, then go for keywords like #joggingshoes, #runners, or etc. Doing this on Instagram gives relevant results and helps in finding the people who all are talking about these keywords.